That’s part of the reason Garret Pick moved to Hawaii. That, and the culture, the natural beauty, the diversity, the people, the food, and the music. 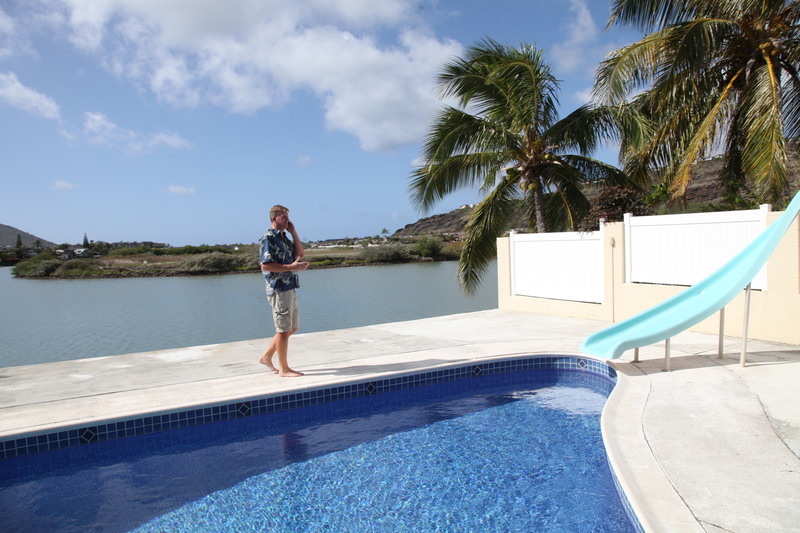 “I like just about everything” about Hawaii, Garret said. The 6-ft., 6-in. 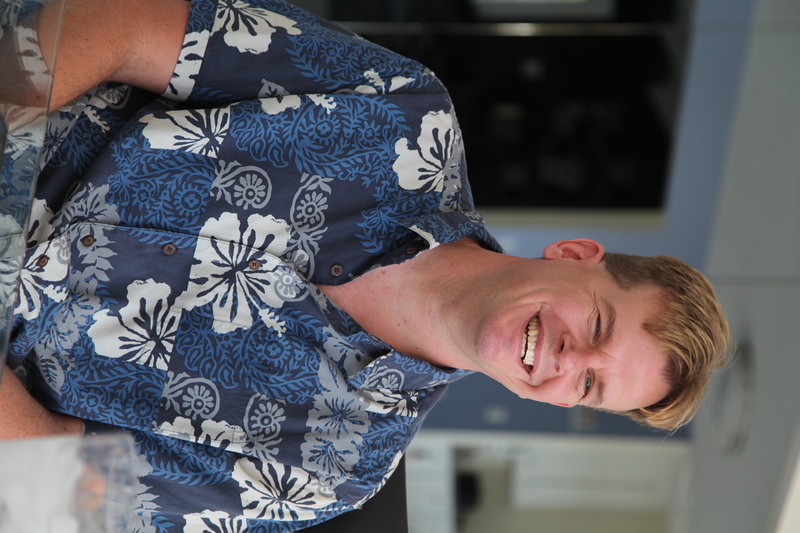 electrical engineering grad first experienced Hawaii as a layover location between his travels to Asia and his home base in Chicago, where he was a field engineer for Motorola – a job he landed right after graduation in 1993. He traveled the world but “kind of fell in love” with Hawaii and jumped at the chance to take a Motorola job based in the Honolulu area in 1997. When that job ended, he moved back to Chicago but tried to figure out a way to get back to the islands. After a couple of years, he went to work for a friend who founded a start-up company in San Diego. The company was open to telecommuting. Garret moved back to Hawaii full-time about 10 years ago, luring his then-fiancé (now wife) Janet with the prospect of a Hawaiian wedding. The couple now has two children, Kanoa, 8, and Makela, 6, both born on Oahu. 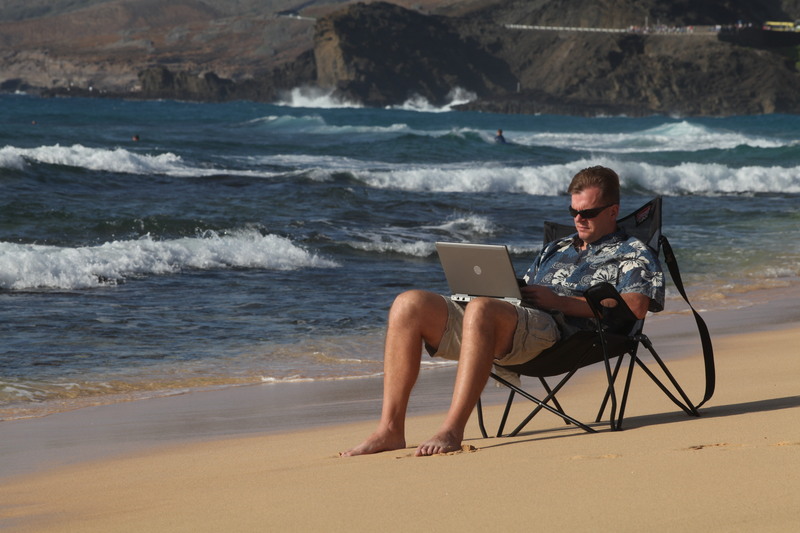 Telecommuting in paradise sounds ideal, but Garret admits it can be challenging at times. Garret builds and maintains software for his company, Packetvideo. He communicates with his co-workers in California through frequent conference calls and the Internet.